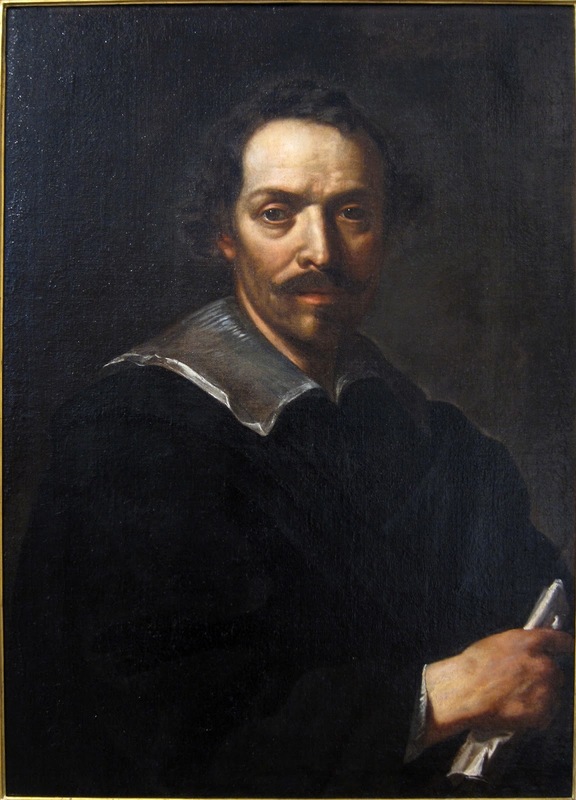 Artist Pietro da Cortona was born Pietro Berrettini on this day in 1596 in Cortona in Tuscany. Widely known by the name of his birthplace, Cortona became the leading Italian Baroque painter of his time and contributed to the emergence of Baroque architecture in Rome. Having been born into a family of artisans and masons, Cortona went to Florence to train as a painter before moving to Rome, where he was involved in painting frescoes at the Palazzo Mattei by 1622. His talent was recognised and he was encouraged by prominent people in Rome at the time. 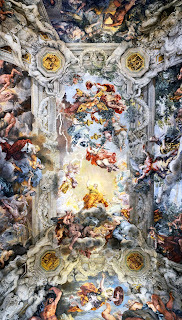 He was commissioned to paint a fresco in the church of Santa Bibiana that was being renovated under the direction of Gian Lorenzo Bernini in 1624. 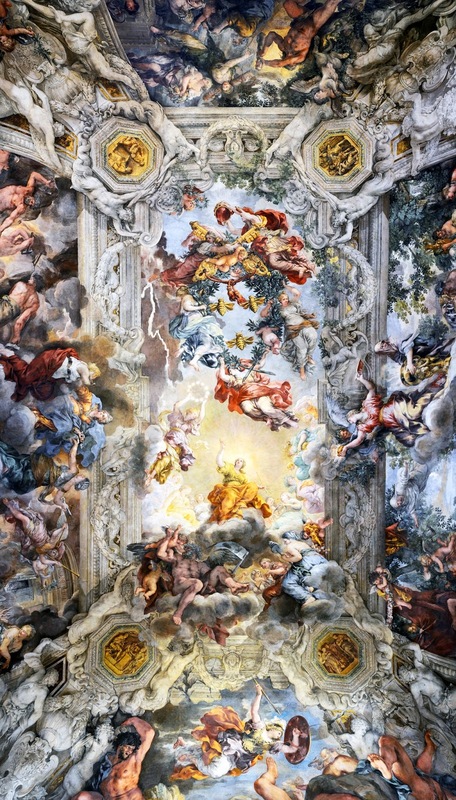 Then, in 1633, Pope Urban VIII commissioned Cortona to paint a large fresco on the ceiling of the Grand Salon at Palazzo Barberini, his family’s palace. Cortona’s huge Allegory of Divine Providence and Barberini Power marked a watershed in Baroque painting as he created an illusion of an open, airy architectural framework against which figures were situated, creating spatial extension through the medium of paint. Cortona was commissioned in 1637 by Grand Duke Ferdinand II dè Medici to paint a series of frescoes representing the four ages of man in the Palazzo Pitti in Florence. He returned there in 1640 to paint the ceilings of a suite of apartments in the palace that were named after the planets. Cortona trained a number of artists to disseminate his grand manner style, which had been influenced by his interest in antique sculpture and the work of Raphael. Towards the end of his life, Cortona spent his time involved in architectural projects, such as the design of the church of Santi Luca e Martina in Rome and the design and decoration of the Villa Pigneto just outside the city. Cortona died in 1669 at the age of 72 in Rome. 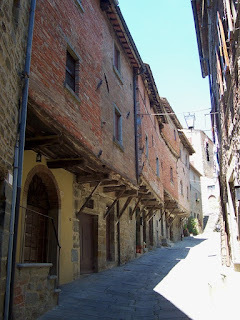 Cortona, the birthplace of Pietro da Cortona, was founded by the Etruscans and is one of the oldest cities in Tuscany. Powerful during the medieval period it was defeated by Naples in 1409 and then sold to Florence. The medieval houses that still stand in Via Janelli are some of the oldest houses still surviving in Italy. Palazzo Barberini, where Pietro da Cortona painted his masterpiece on the ceiling of the Grand Salon, is just off Piazza Barberini in the centre of Rome. The palace was completed in 1633 for Pope Urban VIII and the design was the work of three great architects, Carlo Maderno, Francesco Borromini and Gian Lorenzo Bernini. The palace now houses part of the collection of Italy’s National Gallery of Ancient Art.